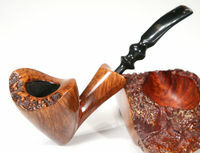 Ben Wade is one of the great names in English pipe making. 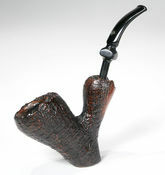 As Richard Carleton Hacker noticed correctly Ben Wade, like many British pipe companies, has had a checkered history. Very checkered in this case. The company was founded by Benjamin Wade in 1860 in Leeds, Yorkshire, where it was located for over a century. 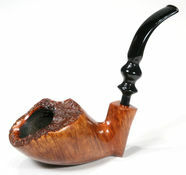 Ben Wade started as a pipe trader, but yet in the 1860's he established a workshop to produce briar pipes. 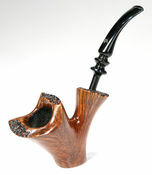 The pipes were made in very many standard shapes - always extensively classic and "very British". Many models tended to be of smaller dimensions. 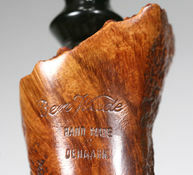 Ben Wade offered a very high standard of craftsmanship and quality without any fills. 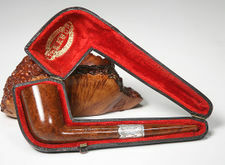 Thus the pipes were considered to be high grade and a major competitor to other famous English brands. The often heard comparison to Charatan seems to be a little bit inadequate because those days' Charatans were entirely handmade. 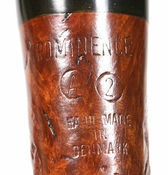 Before the second war Ben Wade clustered their offerings into three price points: "Ben Wade" included the higher end pipes (eg the Larnix, Super Grain, Selected Grain, etc), "BW" included the mid-level pipes (eg Statesman, Natural Grain, County, etc), and "BWL" were the least expensive (eg Hurlingham, Adelphi, Tense Grain). Champion was in the last group, and in the 1930s at least retailed for 2/6. The Champion disappeared during the War when the Ben Wade line was materially slimmed down, presumably to reflect difficulties of supply. The name continued to appear in brand directories st least through the early sixties, however it's unclear whether production was actually resumed.Courtesy PipesMagazine.com"
Even though the owner family decided to leave pipe business and sell off the firm. The family went into negotiations with Herman G. Lane, president of Lane Ltd. in New York at about the same time as the Charatan family. Lane Ltd. bought both firms in 1962. Herman G. Lane had been Charatan's US sole distributor since 1955 and Charatan always remained his pet child. But Ben Wade was treated in another way by it's new owner. The fabrication of pipes was reduced and the factory in Leeds was closed in 1965 finally. 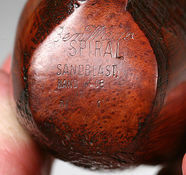 So this was the end of Ben Wade pipes stamped "Made in Leeds, England". Lane had the pipe making machines brought from Leeds to London and used the well esteemed name Ben Wade to start the fabrication of entirely machine-made pipes at Charatan's Prescott Street factory. (Some sources say "not earlier than 1973" but proven by cataloges this isn't true.) 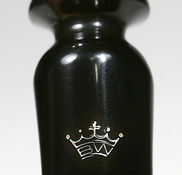 Alas the "new" Ben Wades were quite usual series pipes, copies of well known standard shapes. 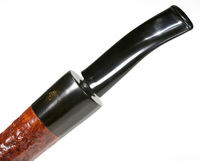 The pipes often showed hardly masqued fillings and were processed quite coarsely with hardly polished pre-moulded Ebonite stems. Therewith Ben Wade degenerated definitively to a second brand. The stamping now read "Made in London England" or just "London". 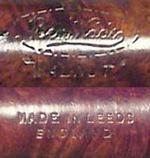 Nothing was left from the quality of the pipes once made in Leeds! 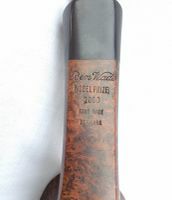 Quotation of an American pipe dabster: "It's a shame to see how a famous old family name can be dragged into the mud by people who want to capitalize on a good reputation earned by men who are long dead. This sad little story was not one of Charatan's or Lane's proudest moments!" 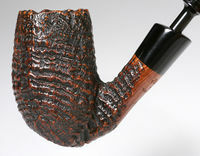 Herman G. Lane's heirs had no special interest in either Charatan or in Ben Wade and sold it to Dunhill Pipes Limited in 1978. 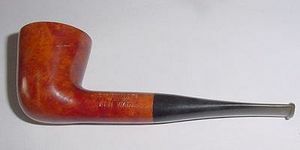 Now, Dunhill had no need of machine-made series pipes like the Ben Wade as performed by Charatan / Lane since their own Parker-Hardcastle factory in Walthamstow had abounding capacities to turn out secondary pipes. Thus this was Ben Wade's second end. Charatan's Prescott Street factory was closed by no later than March of 1982 and Charatan was allowed to languish and discontinued in 1988. 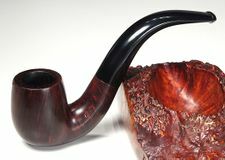 Young Copenhagen master pipemaker Preben Holm had made a meteoric career heading a pipe manufacture employing 45 people at the age of 22! But around the turn of 1970/71 he was in major financial difficulties. His US distributor, Snug Harbour Ltd. in New York City, left him in the lurch. Holm had three unpaid invoices on his desk and another large shipment was ready for the USA, when Snug Harbour's manager told him on the phone that there was no money at all on the account to pay him. So the Dane went to New York for an almost desparate search for a new distribution partner. He made contacts with Lane Ltd. and met Herman G. Lane in February 1971. 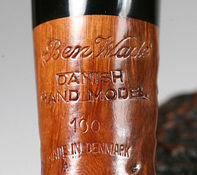 Lane Ltd. had no interest in Holm's serial pipes produced at that time but so much the more in the hand-carved freehands because the hype for Danish freehands and fancies in the States was still on it's way to the climax then. The meeting resulted in an agreement to start a cooperation. Lane insisted to improve the quality considerably and in return he assured to be able to sell essentially larger quantities. Holm went back home to work on new samples with all-new designs and altered finishes for Lane. Both, Lane and Holm, agreed that it would be unwise to sell the pipes under Preben Holm's name as long as Snug Harbour had a considerable stock of Preben Holm pipes and might sell them pipes at very low prices just to bring in some money. So on Mr. Lane's proposal it was determined to use the name Ben Wade belonging to Lane Ltd. Lane spend considerable amounts of money for advertising the new brand in the big magazines-- the centerpiece being whole-page ads showing a very exclusive Seven Day's Set. The cooperation with Lane Ltd. proved to be an eminent business success for both partners. 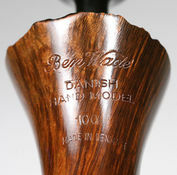 Within a very short time Ben Wade Handmade Denmark sold in much larger quantities and at higher prices than they had ever dreamed of. 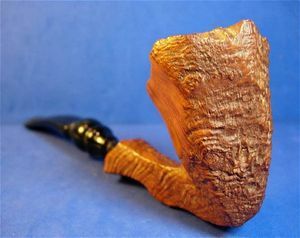 And the hype these freehands and fancy pipes caused went on unbroken long after Herman G. Lane deceased. 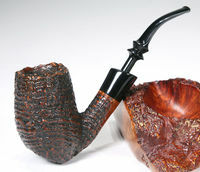 Preben Holm - obviously much more brilliant in pipe making than in pipe business - was in major troubles again in 1986 and had to sack most of his staff. The Ben Wade production was significantly lowered but continued until his untimely death in June of 1989. 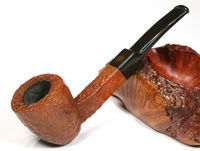 Up to now Preben Holm made Ben Wade pipes are cult and highly sought for on the estate markets. 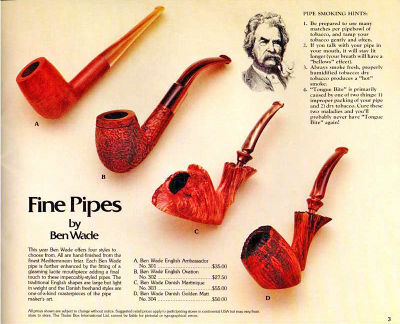 As said before Preben Holm's death marked the third end of Ben Wade and for long years there were no Ben Wade pipes in the shops anymore. But then, all of a sudden they were back in the USA some years ago! Who made these pipes? A concrete manufacturer was not known at first. The rumors spreading were considerable. 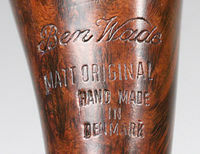 Especially because these Ben Wades - originally all blasted and in deep black color - featured so perfect straight and / or ring-grain that they were almost suspicious in view of the prices. The supposition that "Mother Nature" had been given a leg up by means of rustication combined with subsequent blasting was evident as different sources confirmed. 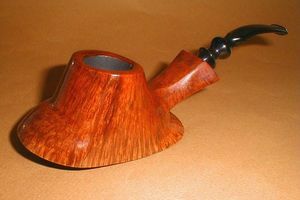 Today's Ben Wades are an order production for Duncan Briars - another great name from days gone by of British pipe glory (est. 1899). 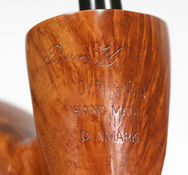 John Duncan, a grandson of the founder John Louis Duncan, sold the firm to his brother-in-law Peter Wilson who worked the miracle of Ben Wade's resurrection buying the rights of the brand in 1998 from Dunhill. 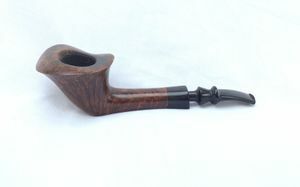 To keep things simple the pipes are made at the Walthamstow plant where - according to British White Pages - Parker Hardcastle Briar Pipes Mfrs. and Dunhill Pipes & Smokers Requisites share not only the same the address (32 St. Andrews Rd, London E17 6BQ) but even the same telefon number (020 84984000). 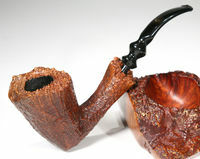 Quoted from advertising: "The drilling and finishing of these hand made pipes would put many far more expensive pipes to shame. The bowls are carved at the world famous 32 St. Andrews Road, Walthamstowe pipe factory, in London, England. The same factory where Dunhills are made. 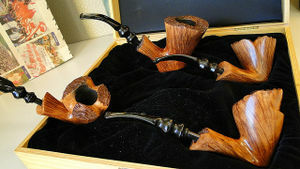 Every pipe is drilled spot on and exhibits a good blast and all have high quality German Vulcanite mouthpieces. 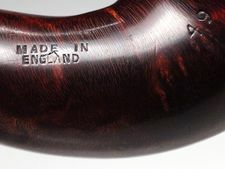 Every pipe is stamped "Ben Wade, Made in London, England". 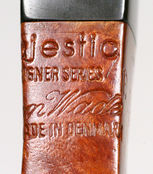 The craftsmanship and smokability have always been superb. Western, Post Family, but is it pre-Lane era, or modern production? Western Nomenclature, but is it pre-Lane era, or modern production? This page was last edited on 19 December 2018, at 11:31.